Medieval castles, lip-smacking food and wine varieties, and the rhythm of the village life — Portugal has a multitude of experiences to share. Albeit some stringent Portugal visa requirements, everything else in this beautiful country is fun and absolutely mind-blowing. You can take a walk along through the ochre-coloured alleyways of Lisbon enjoying the Gothic stone structures or experience the perfect blend of the old and the new in the city of Porto. Outside the city, you can unravel the natural beauty of Portugal. Honestly, who wouldn’t love spending some time dolphin-watching at the Catamaran Sado Estuary and taking memorable rides all over the Dutch countryside? So, if you’re thrilled about the experiences that you’re going to enjoy in Portugal, you also need to be ready with all the Portugal visa requirements to apply for a visa. If you’re unsure of this, please don’t fret. We have compiled a list of document and other Portugal visa requirements, so that you don’t feel overburdened or confused at the time of your visa interview. WHAT ARE THE MANDATORY PORTUGAL VISA REQUIREMENTS? Portugal is a part of the Schengen area countries. If you’re not aware of what a Schengen area is; it is an area created by the Schengen Agreement of 1985 in order to abolish internal checks for people travelling between these countries. This means, once you get a Schengen visa to one of these countries, you can travel between any Schengen country without getting another visa. 1) Visa Application Form: A visa application form is the most important among the Portugal visa requirements. It must be filled with complete sincerity, providing all the necessary details. You may need to fill it with a blue ink pen and sign the form when you’ve completed. 2) Passport: You need to present your passport, which should have a minimum validity of 90 days after the return date. You must ensure that there are at least 2 blank pages left for the entry and exit from Portugal to be marked. You can also submit the photocopies of any previous passports to support your visa application. 3) Biometric Photographs: Along with the rest of the documents, you need to submit a couple of passport size photographs, which are taken recently. The photographs must be taken according to the general visa specifications, like having a light background and 75-80% face coverage. 4) Covering letter: The details like the length of the trip, the places to visit, and arrangements for your accommodation are very important details. Hence you need to ensure that you submit a covering letter which has all these details with your signature at the bottom. This letter should convince the embassy about your plans, purpose of your trip, and most importantly, your plans on returning to your home country once your trip is over. 5) Flight reservation for visa: Since you’ve already mentioned your travel plans in your covering letter, you will need to provide enough evidence of your journey plans. For this, you’ll need to submit the flight reservations, particularly the return flight reservation. Still, if you’re not exactly sure of the return dates, you need not book the tickets before getting the visa. Instead of the actual tickets, you can get a flight itinerary from an authentic travel agency, such as Visa Reservation. The itinerary should have the dates, as well as the flight numbers, clearly mentioned in it. 6) Hotel Reservation for visa: Likewise, you also need to submit the details of the accommodation you’ve made arrangements for. You might not know this before, but you need to make hotel reservations for the whole period of your stay in Portugal, prior to the visa application. If you plan to stay at your relative’s, friend’s or a sponsor’s place, providing an invitation letter, along with their contact details, will be sufficient. 7) Travel Insurance: You can’t be certain about what emergency might come up during your trip. So, you need to have a travel medical insurance policy which covers a minimum of 30,000EUR. This assures the Portuguese Embassy that you have enough financial coverage for any unexpected emergencies. 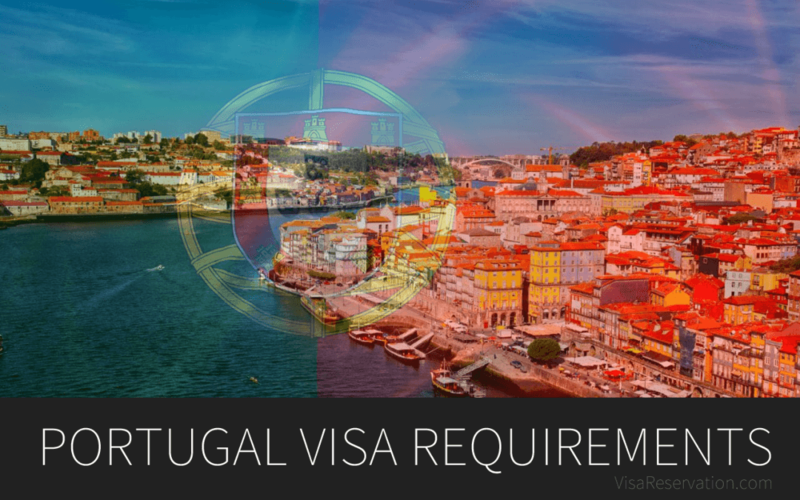 WHAT ARE THE ADDITIONAL PORTUGAL VISA REQUIREMENTS? Now, there are certain additional supporting documents that you need to carry for the visa interview in order to get your visa approved. The additional documents include the certificate that proves your civil status, the documents showing your means of subsistence, a No Objection letter from your employer/university and the proof of your permanent address in your home country. 1) The No Objection Letter is very important supporting document included in the Portugal visa requirements. It must state that your employer (or the school/university, if you are a student) has no objection towards you travelling to Portugal. A leave approval is also acceptable in case you can’t get an NOC. 2) Proof of civil status: If you’re married you need to submit certain documents like your marriage certificate, spouse’s death certificate, or child’s birth certificate would be enough. If you’re unmarried, your birth certificate would suffice. Even your ration card is accepted as a proof of your civil status. 3) Proof of means of Subsistence: These are the documents that prove that you have enough financial stability to support the trip. This also ensures that, even in case of an emergency, you will be able to handle it without any further financial assistance. Certificates like the deed of your property, a lease of your house, bank statements of the last six months, income tax certificate will be enough to prove your financial credibility. Once you have obtained all the documents, you can pin all the documents together and envelope it. Ensure that you have your name, address, and your contact number written on the envelope before submission. Once you’re ready with the Portugal visa requirements, you can submit these documents at the Portuguese Embassy and arrange for the visa interview. Meanwhile, if you find any difficulty gathering these documents, we have a very friendly support team that can guide you throughout your visa application process and also help you with some of the Portugal visa requirements like obtaining a travel insurance that applies across the Schengen area or getting a dummy flight reservation for the visa. So, all you need to do is; simply contact us and ask for assistance!